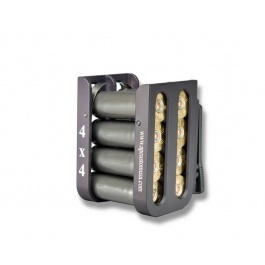 Designed for loading four shells at once, either strong or weak-handed. Holds four 2 3/4 in. 12 gauge shells in two adjacent slots. The 4×4 is the most efficient use of belt real estate on the market. AP Custom shotshell caddies are 100% machined from solid billet aluminum. They utilize our proven 303 Hi-Yield Stainless steel leaf springs to contain either three or four 2 3/4 in. 12 gauge shells in their slots, depending on model. The 303 springs provide both excellent retention and a silky smooth grab. 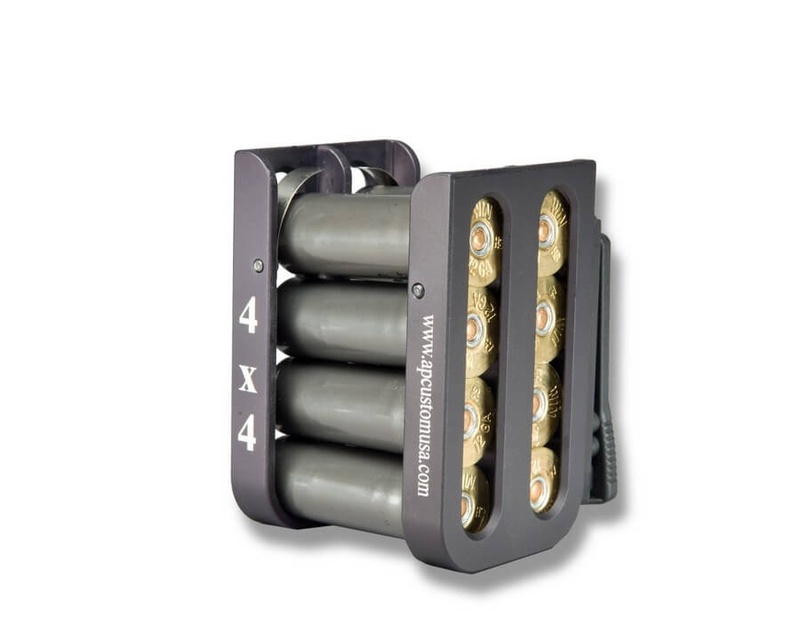 All our shotshell caddies are drilled and tapped to accept the most popular belt attachment methods in the industry – the Blade-Tech Tek-Lok, Safariland ELS, and Blade-Tech MOLLE.